The influence parents exert on their children’s lives is deep and profound. Parents provide the support, guidance, and example children use to develop their own sense of self, perspective of the world, and how to treat others. When parents divorce and must decide how to divide child custody, these decisions become much more difficult to coordinate and navigate when parenting time and decision-making is split. Religion is one area that is particularly sensitive, and can spark intense conflict if a disagreement arises. 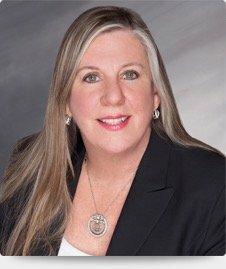 How courts should handle disputes over religious decisions is not enumerated in the Florida laws related to child custody, nor are issues related to the contribution of each parent toward expenses from religious events, such as bar and bat mitzvah and quinceañeras. However, these are matters that some divorced parents must confront and resolve. The time and financial outlay parents may be expected to commit is not insignificant in some circles, and if a parent pushes back on how a religious institution is impacting the child or the expenditure of money to participate in rites and activities, courts often have to step in to resolve these volatile disputes. A discussion of how courts evaluate the right of each parent to direct the child’s religious upbringing, and how the associated expenses may be factored into child support payments, will follow below. Parents sharing child custody will find the details of the arrangement in the parenting plan, a document that outlines how parenting time will be exercised, and who decides key issues related to the child’s life. Religion is not specifically noted as an issue that must be addressed, but if parents are committed to keeping a faith practice in the child’s life, the matter should be included. Regardless of whether the parents form their own parenting plan, or ask a court to create one for them, the best interests of the child will determine if a proposed plan or request should be granted. Most parents share decision-making responsibilities, but religion is one of those issues people about which can easily disagree. Thus, the court will be evaluating how best to protect the child’s welfare. Religious choice is tricky because is implicates important First Amendment considerations, but ultimately, a court will restrict these rights if a religious practice will cause actual or substantial harm to the child. Evidence of harm to the child’s mental or physical health will need to be demonstrated to convince a court to block a certain practice. In most situations, this will be hard to show, meaning a parent will be allowed to expose the child to religious teachings while in his/her care. Religious observance can also impact child support, which at a minimum, includes paying for the necessities of food, clothing, and shelter. However, expenses related to education, medical care, and extracurricular activities are factored into most child support orders. Religious expenses, especially those related to milestone events, like bar mitzvahs, can easily run into the tens of thousands of dollars, and if such celebrations are anticipated, the parents should start negotiations early about how to share these costs. If a parent refuses to contribute and a petition is filed to force the issue, courts will look to the best interests of the child, and particularly assess how ingrained the practice is in the family and the child’s life, i.e., is the tradition part of the immediate family, how religious is the family, and would the event have meaning for the child. This requires a complex presentation of evidence, and working with an experienced family law attorney will ensure the strongest case is presented for consideration. Child custody issues are hard, and parents that disagree over key issues like religion will have to work harder to find common ground. The Florida attorneys at the office of Joyce A. Julian, P.A. have years of experience helping families navigate these difficult issues, and are available to evaluate your situation. Contact us today for a free consultation.